Apricot & walnuts one of my favourite food combos, so I’ve gone ahead and baked some walnuts on top of this brownie and brushed it with a sticky, sweet apricot glaze. 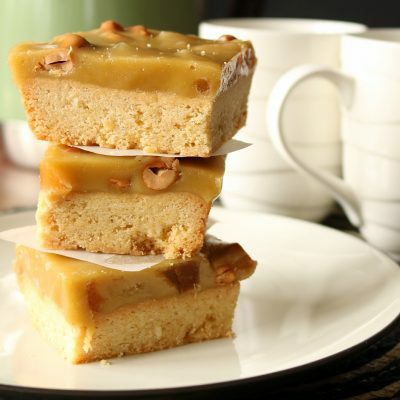 It’s not my usual sludgy chocolate brownie and if that’s more your thing check out the ‘related posts’ slider under this post. 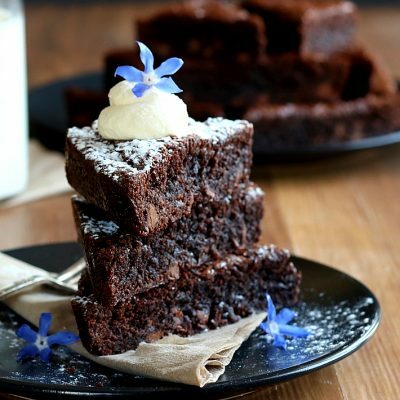 This one is more of a ‘cakey’ style brownie made with dark chocolate. Walnut pieces are placed on top of the batter before it goes into the oven and they toast up so beautifully, golden and crispy. 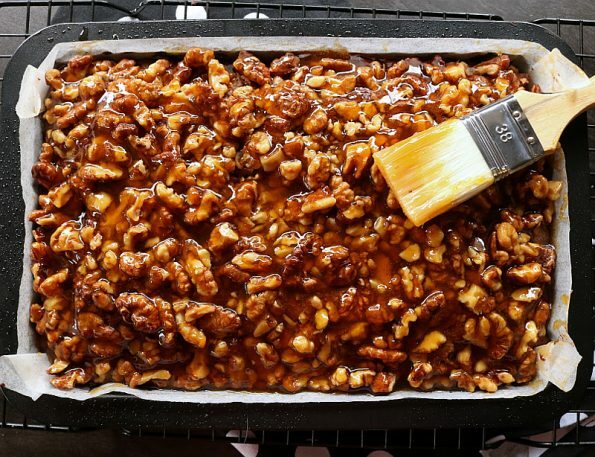 Then whilst it’s still warm, the sticky apricot glaze gets brushed all over the walnuts….do I have your attention yet? Dark chocolate with a 62% cocoa content or more would be best. 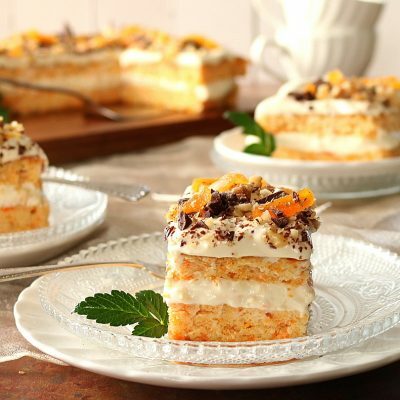 First, spray a 27 x 16 cm standard-sized, slice tin with non-stick cooking spray and then line it with non-stick baking paper. If you give the tin a light spray before placing the paper in, it makes life a little easier as the paper won’t slide around whilst fitting it. 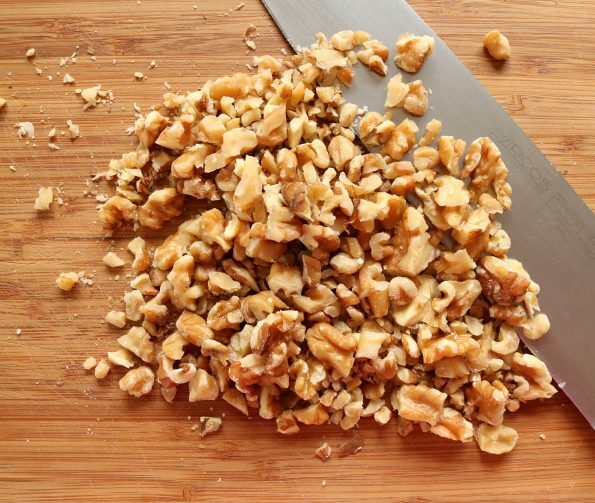 Next, if you’re using walnut halves, you’ll need to roughly chop them up into pieces and then set them aside. To melt the chocolate, first, find a heatproof bowl that fits snuggly into the top of a small saucepan. 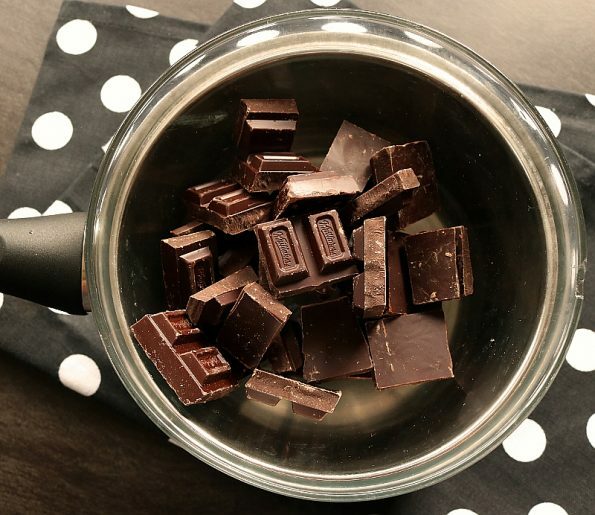 Break up the chocolate and place the pieces (or, if using them, the buttons) in the bowl. Remove the bowl again and bring the water to the boil. Once boiling turn down the heat to medium/low or to where the water is just simmering. 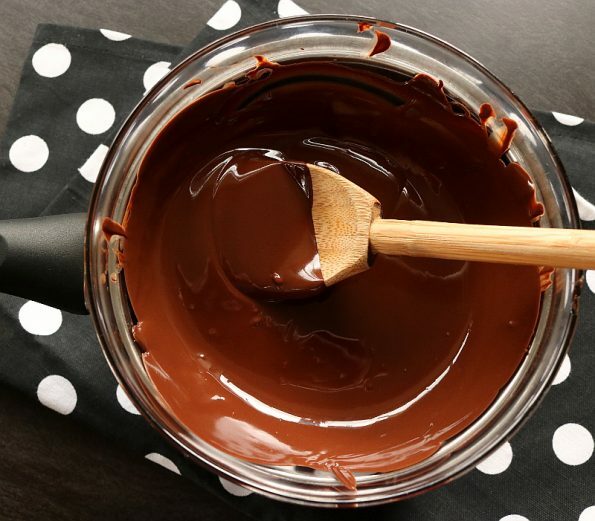 Place the bowl of chocolate back on the saucepan and stir often (especially the sides and bottom so it doesn’t stick and burn), until the chocolate has melted. Turn the oven to 150°C fan/convection oven or 170°C conventional oven, on bake, with a rack situated just below the centre of the oven. If the butter isn’t at a warm room temperature cut it into small cubes and pop it in the microwave on 50% / ½ power for 30 seconds and then 15-second increments until it’s soft (you don’t want any melty bits though). 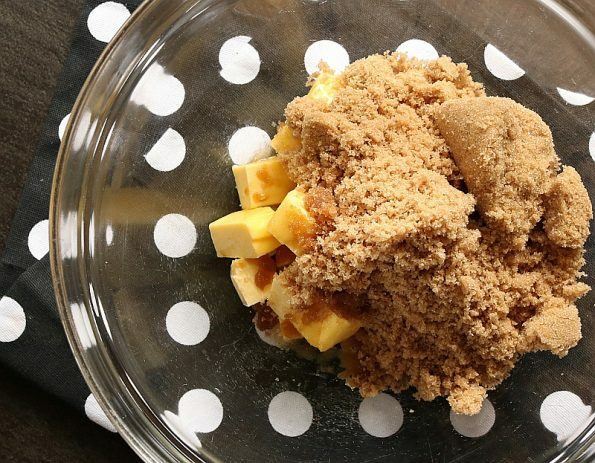 Place the softened butter into a medium-sized bowl with the brown sugar and vanilla. Next, add the eggs, one at a time, beating each one in for around 30 seconds before adding the next. 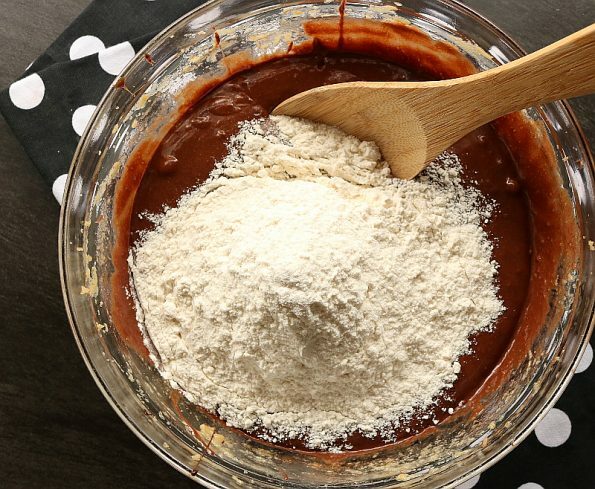 Add the flour and using a large spoon, fold it through the mixture. 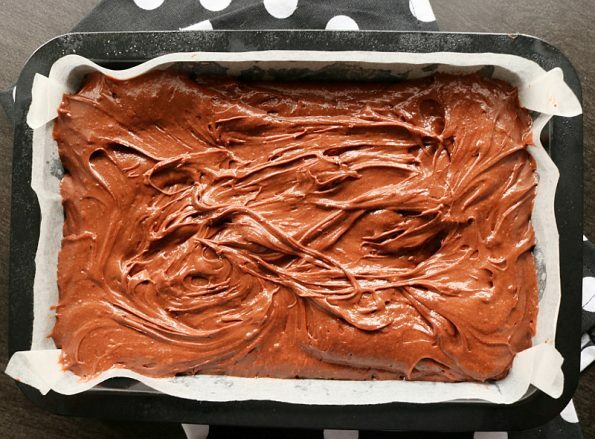 Give the lined tin a light going over with the cooking spray and then spoon in the brownie batter, spreading it around evenly. Place the walnut pieces all over the top, leaving no gaps and gently press them down (not too hard). Place it in the oven and bake for 35 minutes or until a skewer inserted into the centre, comes out clean. Then place it on a cooling rack. 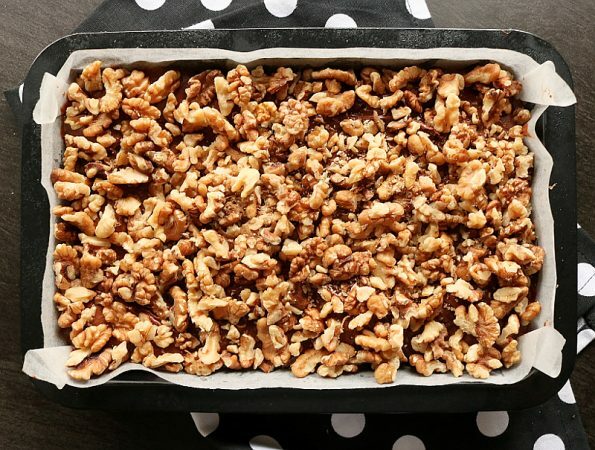 The walnuts will smell so good and look nice and golden….YUUUUM! 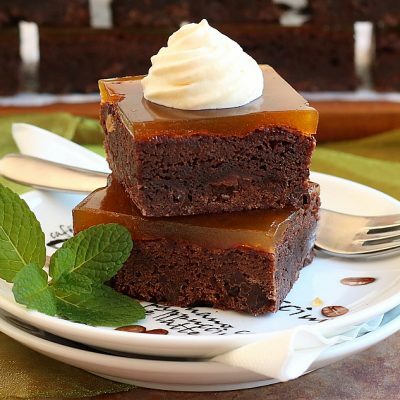 Make this when the brownie has baked and not before as it needs to be hot when it’s spread over the top. It also turns back into thick jam when it’s cold (although you can just reheat it to bring it back). 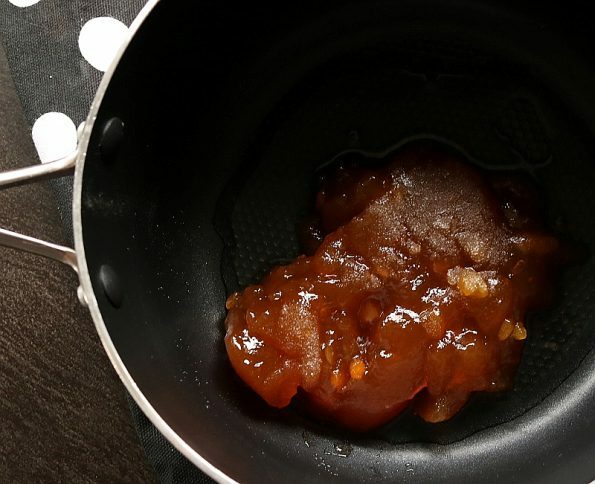 Place the apricot jam, sugar and 4 teaspoons of water into a small saucepan. Over a medium heat, whilst slowly stirring, bring it to the boil. Once boiling turn the heat down to medium/low and simmer for around 2 minutes (stirring occasionally) and then remove from the heat. You want it nice and smooth so next, whilst still hot, push it through a sieve. 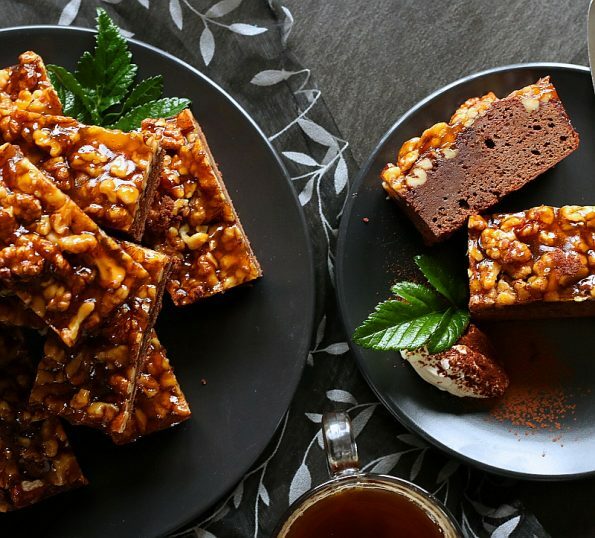 Whilst the glaze is still hot, spoon it all over the walnuts and then use a pastry brush to make sure it covers them all. The glaze still needs to be hot for this. 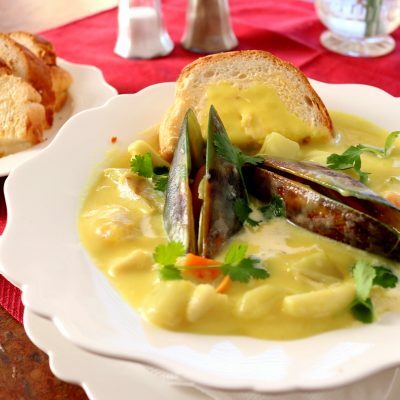 If you’ve been distracted and it’s cooled down and thickened just reheat it over a low heat until it’s thinned again. Leave the brownie in the tin to cool down to room temperature and then place in the fridge until it’s COLD (it’s easier to cut when it’s cold). Once cold, lift and slide it out of the tin (paper too) and cut it into pieces (I cut mine into 12 pieces, 6 x 2). They’re quite large so you could even cut them in half again, giving you 24 small pieces. 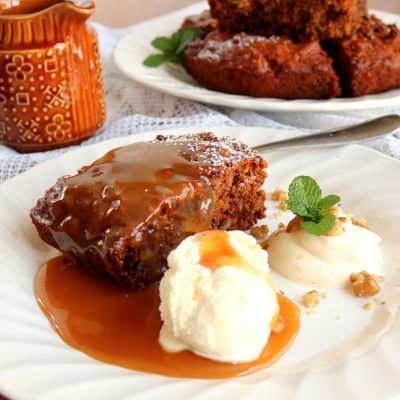 Let it come back to room temperature before placing it in an airtight container with non-stick paper between the layers, as the glaze is sticky. 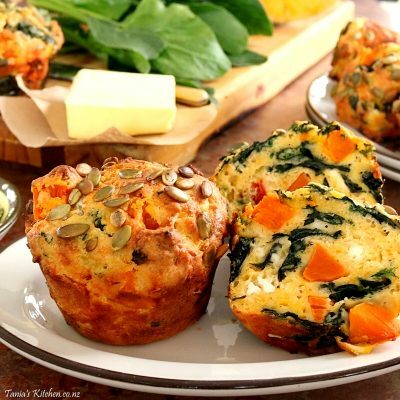 Keepin’ it fresh – Store in an airtight container, in the pantry, for up to 5 days. 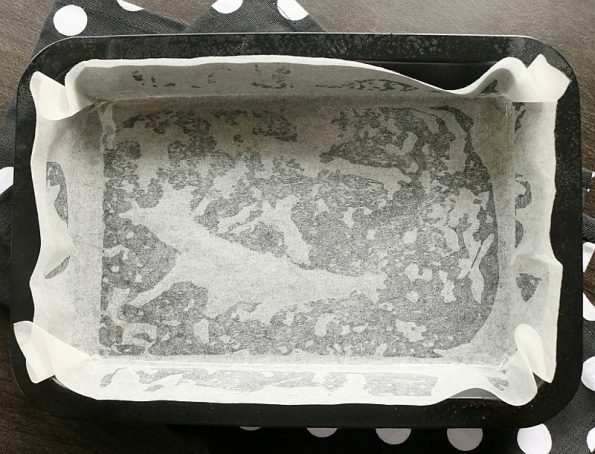 Spray a 27 x 16 cm standard-sized, slice tin with non-stick cooking spray and then line it with non-stick baking paper. 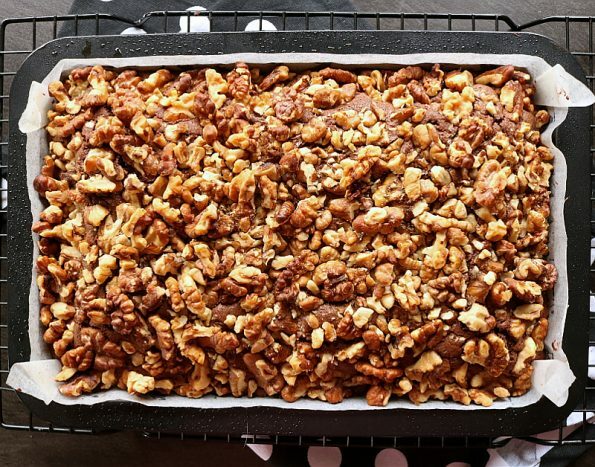 If you’re using walnut halves, roughly chop them up into pieces and then set them aside. To melt the chocolate, first, find a heatproof bowl that fits snuggly into the top of a small saucepan. Break up the chocolate and place the pieces (or buttons) in the bowl. 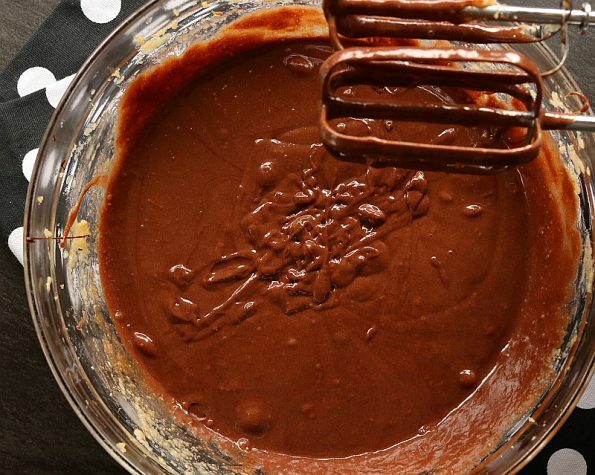 Place the bowl of chocolate back on the saucepan and stir often until the chocolate has melted. If the butter isn't at a warm room temperature cut it into small cubes and pop it in the microwave on 50% / ½ power for 30 seconds and then 15-second increments until it's soft but not melted. 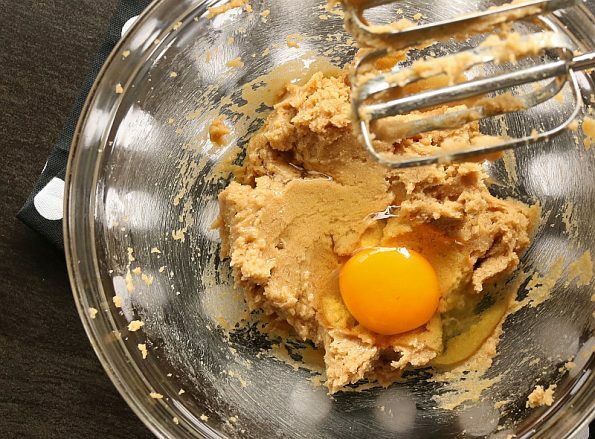 Using an electric beater on medium speed, cream the two together for around 3 minutes or until it's creamy and has paled in colour. Give the lined tin a light going over with cooking spray and then spoon in the brownie batter, spreading it around evenly. Place it in the oven and bake for 35 minutes or until a skewer inserted into the centre comes out clean. 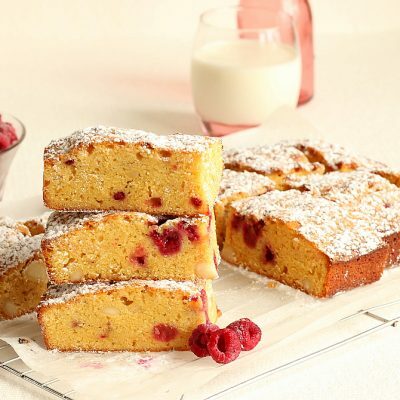 Place it onto a cooling rack. 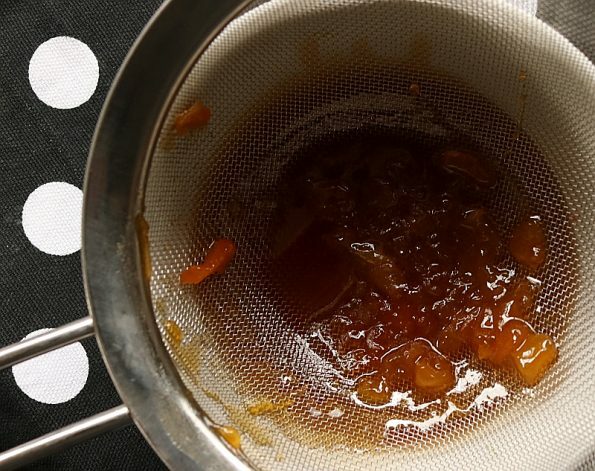 As soon as the brownie is done, place the apricot jam, sugar and 4 teaspoons of water into a small saucepan. Over a medium heat, whilst slowly stirring, bring it to the boil. Once boiling turn the heat down to medium/low and simmer for around 2 minutes (stirring occasionally) and then remove from the heat. It needs to be smooth so next, whilst still hot, push it through a sieve. 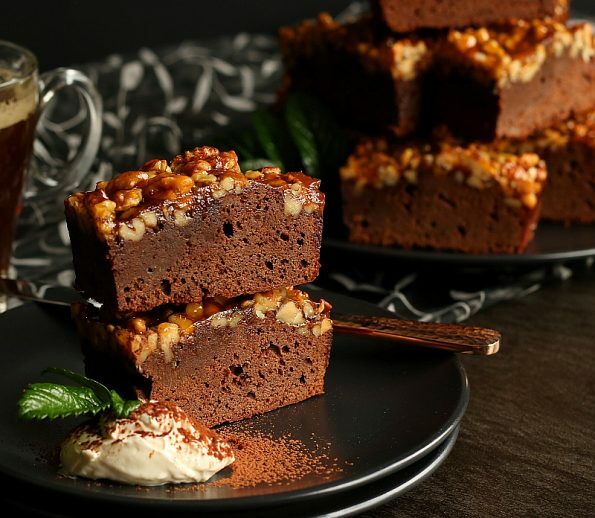 Leave the brownie in the tin to cool down to room temperature and then place it in the fridge until it's cold (it's easier to cut when it's cold). Once cold, lift and slide it out of the tin (paper too) and cut it into pieces. Store in an airtight container, in the pantry, for up to 5 days.